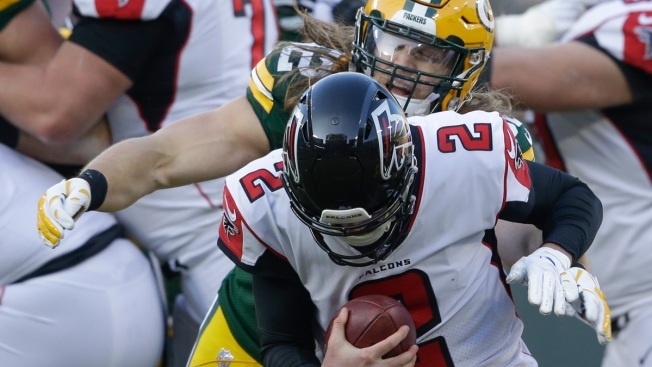 In this Dec. 9, 2018, file photo, Green Bay Packers' Clay Matthews sacks Atlanta Falcons' Matt Ryan during the second half of an NFL football game in Green Bay, Wis. Longtime Green Bay linebacker Matthews has agreed to a two-year contract with the Los Angeles Rams. The Rams announced the deal Tuesday, March 19, 2019, for Matthews, the former USC star who spent the past decade with the Packers. Linebacker Clay Matthews agreed to a two-year contract with the Los Angeles Rams on Tuesday, returning to his native Southern California after a decade with the Green Bay Packers.